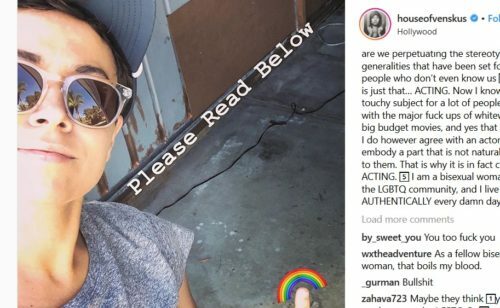 Out actress Briana Venskus discussed being told that she doesn’t look “authentically LGBTQ” enough for a role. The bisexual television actress has had a number of supporting roles in popular shows like Grace and Frankie, House, and Supergirl. She is perhaps best known for the role of Beatrice on The Walking Dead. Venskus didn’t say what the role was, perhaps because naming names could harm her career. Instead, she asked what it means when Hollywood doesn’t think that an actual LGBTQ person doesn’t look LGBTQ enough for TV.